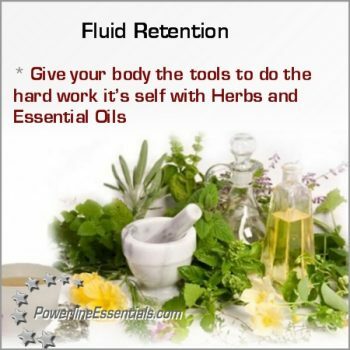 fluid retentionFluid retention, or as it is known medically edema, is the result of a buildup of water in the body’s tissues which causes swelling and puffiness. There are many reasons why this can occur. Sometime the underlying cause can be more serious such as heart disease, while at other times this quite common could be the result of a sprain, jet lag, pregnancy, PMS or obesity. Essential oils can prove very helpful in getting the balance back to normal. Added to a massage oil or cream, which is then used to gently massage the affected areas upwards towards the heart is one method of use. Add 12 drops of essential oil blend to 30 ml (1 oz.) of carrier oil. Another method would be to add 3 – 8 drops of essential oil or essential oil blend into a bath or foot bath (if only the ankles are involved).